The Citrus Avocado Martini from Boardroom Spirits gets a touch of healthy creaminess from the addition of mashed avocado. It may finally be time to say goodbye, at least on social-media platform Instagram, to $10 avocado toast. "I promise to love you as much as I love avocados, each and every day, for the rest of our lives," the twentysomething says, sweating profusely as he drops to one knee with a ring and avocado in hand. "Will you marry me?" Yes, thanks to millennials thinking outside the (ring) box, avocado marriage proposals are taking over as the next big — and equally photogenic — avocado trend. The idea is this: Simply remove the pit of a perfectly ripe avocado, and you're left with a natural spot to place a sparkling engagement band. Whether you think this is clever depends on your level of obsession with avocados; whether your partner would find it cute is your call. Either way, the new trend emphasizes that there are many ingenious ways beyond plain old toast to use the gloriously creamy and dreamy fruit. We asked chefs around the city to weigh in with some of their favorite non-toast — but nearly as simple to execute — ideas for using avocados. From Popsicles to a chilled soup to citrus martinis and more, here's an array of out-of-the-box avocado creations that'll help you take it to the next level, no ring required. Rich Landau, co-owner and chef at Vedge, often looks to Middle Eastern cuisine for inspiration in using avocados, such as his avocado fattoush salad. When it comes to avocados, chef Rich Landau of Vedge likes to find inspiration beyond Mexican food and standard guacamole recipes. "Many of the spices and seasonings used in Middle Eastern and North African cuisine — think cumin, thyme, chilies, citrus, coriander, sesame, and dill — pair so well with the flavor and texture of avocado," Landau says. "The avocado is like a canvas to paint these flavors on." Drawing upon that concept, Landau's avocado fattoush salad pairs the natural richness of avocado with the light and fresh flavors of fattoush salad, a staple in Middle Eastern cuisine. The avocado is presented simply, served as-is with a sprinkling of za'taar and placed alongside the cucumber-and-tomato salad. Each bite of avocado with the citrus-and-herb-dressed salad provides a perfect buttery, crunchy forkful. "Avocado is one of those ingredients that I feel could go with anything," says Vernick owner and chef Greg Vernick, who often enjoys eating the fruit by the spoonful with a squeeze of lime and a pinch of salt. Vernick's chilled avocado soup contains whole milk for an extra boost of creaminess and cumin seeds for a touch of toasty flavor. The soup is topped with a light crab salad tossed with a simple lemon-oil dressing and a handful of minced chives. "To me, fresh crab meat and avocado is the perfect combo," Vernick says. Looking ahead to warmer temps, chef Brian Sanders of Bar Bombon has created a Popsicle that combines avocado with grilled mango for a tropical-inspired treat. "The avocado is rich and fatty, binding the Popsicle and giving it a texture almost like that of a Creamsicle," Sanders says. "I love avocado as an ingredient in desserts because it's satisfying and acts as a great substitute for things like overly rich chocolate cake." You can find Popsicle molds at any basic kitchen store, and online through retailers such as Amazon and Target. The citrus avocado martini from Boardroom Spirits gets a touch of healthy creaminess from the addition of mashed avocado. Just in time for the start of spring, this refreshing, slightly tart martini takes on a whole new element of intrigue with its secret ingredient, the avocado. 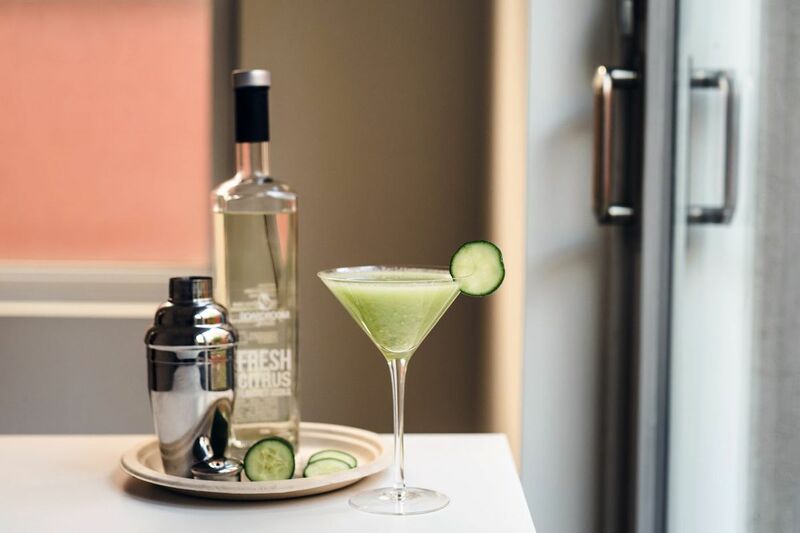 "The mashed avocado adds a layer of creaminess without the guilt to this al fresco sipper," says Marat Mamedov, founder of Boardroom Spirits. Mamedov notes that avocado can add richness like heavy cream, but in a healthier way. Made in five minutes or less, it can be on your cocktail table in no time. Like many other fruits, avocados grill well. Chef Todd Lean of Pod says it helps intensify their flavor. "When the teriyaki hits the avocado on the grill, it gives it this beautiful, smoky flavor," says Lean. "The salad is a nice healthy addition that completes the dish." When grilling, Lean recommends using a ripe but still slightly firm avocado, and says a stovetop grill pan could work to add char if your outdoor BBQ game is not yet in action.